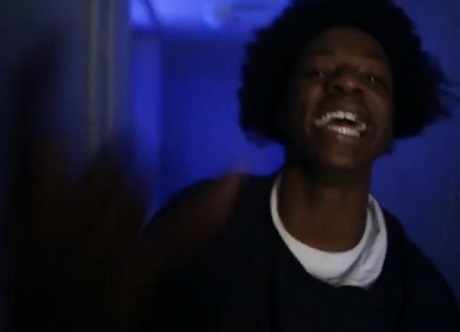 After slipping us his "Big Dusty" track earlier this month, Pro Era bigwig Joey Bada$$ has fit the first single from his forthcoming B4DA$$ with a set of nocturnal visuals. As he lurks in shadowy hallways or takes it to the streets with the rest of the Beast Coast crew, the rapper demands us to "check his style." Throughout the track, the pro-active rapper castigates flow-biters while also asserting his mastering of the art of rhyme. The throwback feel of Kirk Knight's boom-bap beat, spiked with an ominous yet jazzy trickle of guitar, complements the disorienting flow of the video, with several shots blurring in and out of focus around Bada$$. B4DA$$, the New York MC's first studio full-length, has yet to yield a proper release date, but you can check the "Big Dusty" video down below.